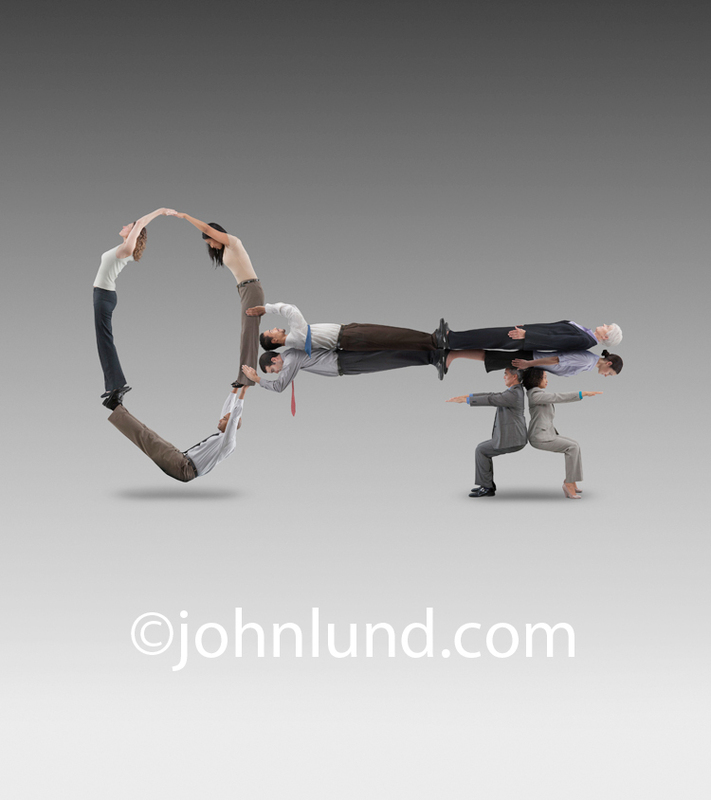 People are the key in this concept stock photo illustrating teamwork and human resources. One of the best selling concepts in stock photography, maybe THE best selling concept, is teamwork. 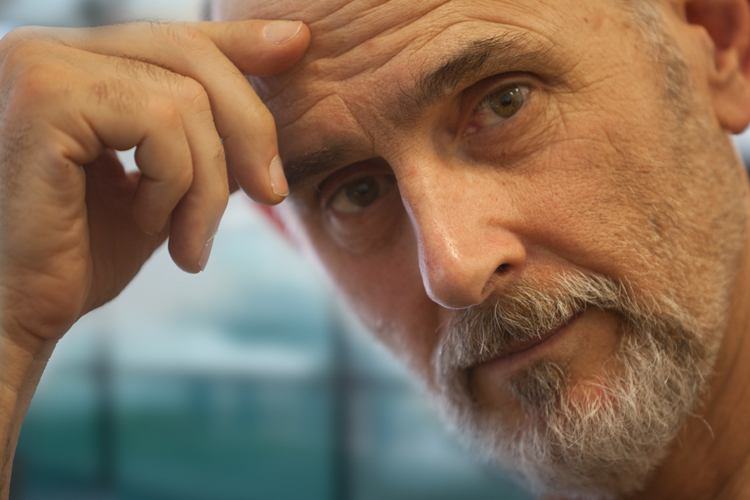 But how do you com up with a new way of showing those tried and true concepts…all of which have been done to death? What inspired me to come up with a teamwork image in the first place? I had been looking at my Blend Images sales report and my best selling image for the previous quarter was a teamwork image. Time to do another one! I had been reading a blog about how people are key to success when it struck me that I could create a key, one of those old fashioned “skeleton” keys, out of men and women in business attire resulting in a stock photo about teamwork, human resources being “key” to success, and how it takes people to unlock the answers to so many challenges. Casting the image was important because in an image that might be used by large corporations to represent their human resources would need to have a wide range of diversity in ethnicities, genders and ages. I ended up with five women, four men, ages from early twenties to mid sixties, and a very thorough mix of ethnicities. As is my habit these days, I came up with a variety of ideas for this shoot so that I could make the most of each model. I hired each model for two hours, one at a time, and shot them in my studio using a shot list to make sure I got what I needed. I had each model pose in each position needed for the key so that when I went to do the compositing I would be sure to have some options in putting it together. It was surprising how easy the image was to put together. It reminded me again of the importance of the photography when it comes to Photoshop. I have always felt that photography is much more challenging than digital imaging. If you have the right raw materials, the photography, then the Photoshop work becomes relatively simple. You might say that great photography is “key” to great Photoshop work. While I believe I have come up with a winner with this teamwork image, you just never know. Because it seems to me like the type of image that won’t be used endlessly, and requires a bit more work and investment than most shooters would be willing to do (I hope), I chose to put this image into the Rights Managed category. Someday I hope to be walking through an airport and see this image on the wall as a poster advertising a Fortune 500 company…but to succeed in stock these days you can’t hold your breath, you have to move on to the next image. This stressed-out businessman, clutching his head in his hands, is probably overwhelmed by searching for stock photos! I received the following email,from an Art Director/Designer that I worked with frequently back in my assignment days. It cracked me up, but I think it is important to pay attention to a couple things the email brings up. That email is posted below with her permission (I have omitted the photograph for copyright reasons). I know you don't do microstock but someone has to give us cheapskates another middle-aged white manager type, besides this guy, attached. He is everywhere. I used him 4 years ago and soon after I found him on a Sprint bill stuffer. I have seen him on bill boards, in ads, everywhere. Type business man into Istockphoto.com and there he is. Many poses, alone, in groups. He now sports a pink flame on the search results page, meaning more than 10,000 downloads!! Some one is making money here. If you don't want to do this maybe some one you know will. We really need another middle-aged white guy! Never thought I would be saying that . . .
Gabrielle Disario is a talented designer and art director I used to shoot for back in my assignment days. We worked on some pretty decent sized jobs, so I think it is interesting that she needs microstock images. It is a sign of the times. It seems like everyone needs inexpensive stock photography, though I know from my own sales reports that there is also, believe it or not, still a demand for traditional stock, both RM and RF. It is also interesting that Gabrielle isn’t finding what she wants. There is still opportunity in stock photography. I think that is actually the main take away from Gabrielle’s email, that there are still images that need to be made, and need to be made for all the various price points. Of course, when I did as she suggested and went to iStockphoto searching under “Business” and “Man”, there were over 122,000 results! I tried to look at those results to determine for myself if there was still a need for more variety. I didn’t get very far. Page four to be precise (though after a break I skipped around pretty thoroughly). There certainly appeared to be plenty of good quality images, but after page three the sheer sameness of everything got to me. The individual images seem done well enough, but as a group I found it depressing! With 122,000 results it seems hard to believe that Gabrielle can’t find what she needs. Maybe it is just too hard to find what she needs? I did the same search on Getty and there is indeed a stark difference in the results. There was far more variety in the imagery. A couple of top microstock shooters have told me that images have to be shot a certain way to succeed in micro…and that started to become clear to me with these searches. It seems to me that what makes for a great selling microstock image also leads to a lack of variety…though Gabrielle’s complaint was a lack of variety for a specific model type. I am guessing that with everyone knowing what sells, and most photographers producing that type of image, the variety suffers. In the case of the model that Gabrielle has seen too much of, he was shot by one of the most successful and prolific iStockphoto.com shooters, and with the "most downloaded" option for searching chosen, you are going to see that guy way more often than that of someone shot by a less prolific and successful shooter. So what do I come away with from all this? As hard as it is to believe, there are still images needed. At the Blend Creative meeting in Palm Springs last fall we had an art buyer speak who bemoaned the lack of fresh and relevant imagery available in stock, so Gabrielle is not the only one. I actually think for at least some of us, for me anyway, that need is a signpost towards ongoing success. We have to create that variety, come up with more creative, innovative images that walk that fine line between creativity and usability. It is also important to have a good grasp on your owns strengths. Are you better suited to producing images in quantity, shooting innovate lifestyle imagery, or concept images with intensive post production? You have to know what you are good at, what kinds of images motivate you and keep the process exciting, and you have to know how to get those images most effectively distributed. If you can do that then there is still room for success in stock photography.